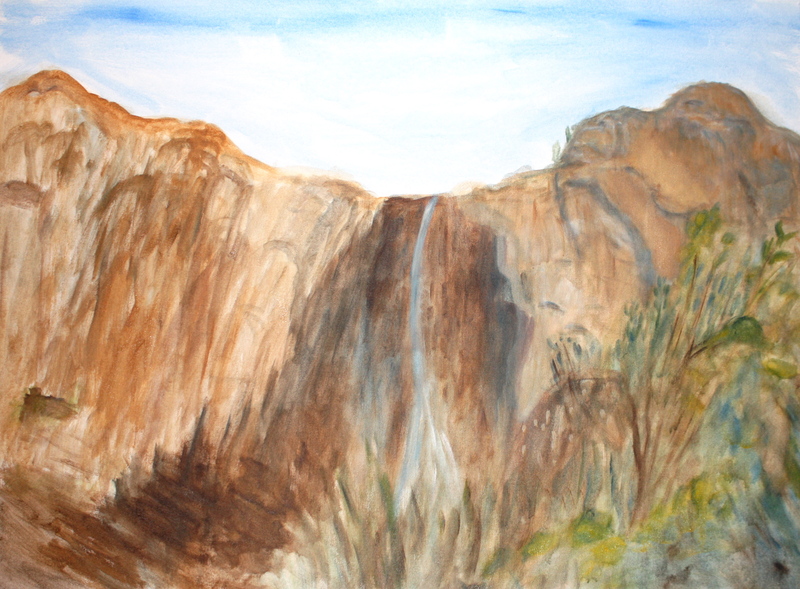 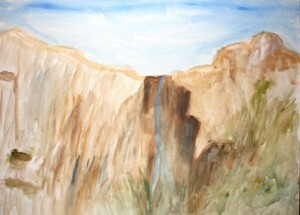 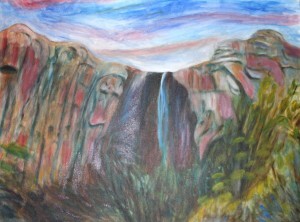 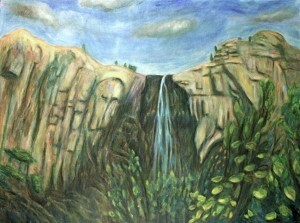 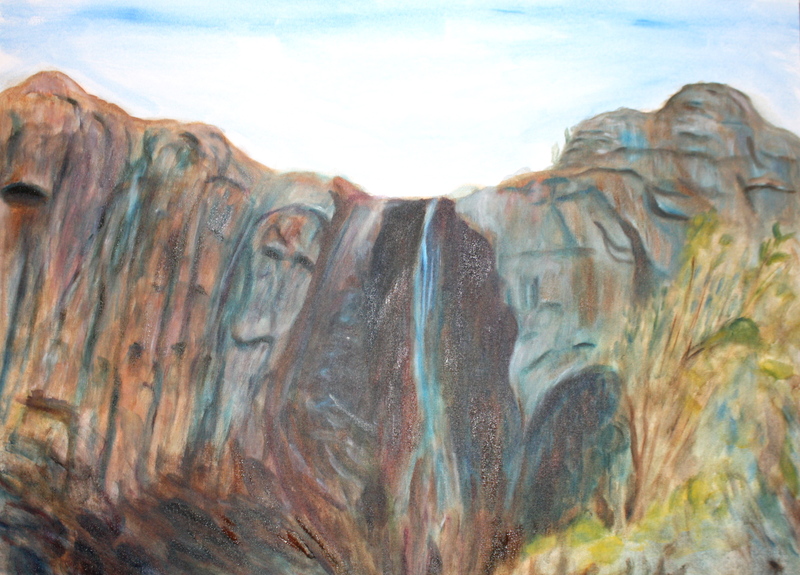 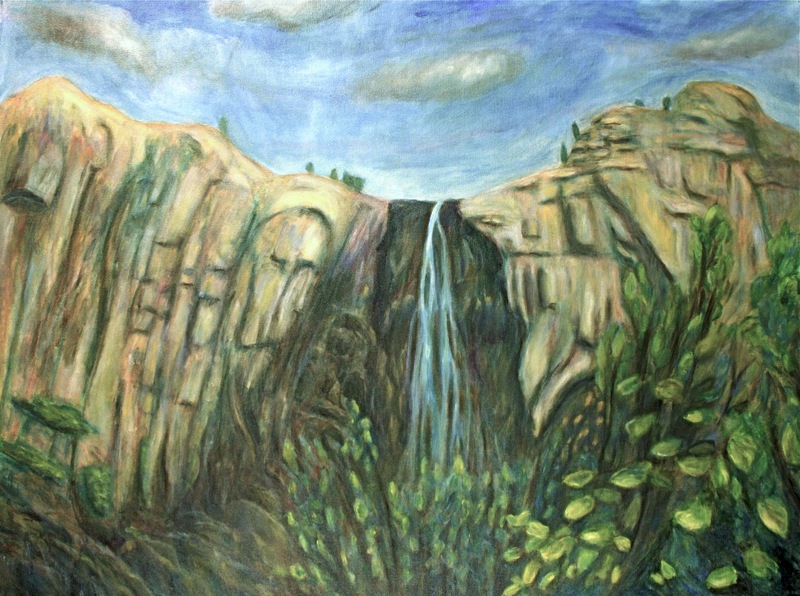 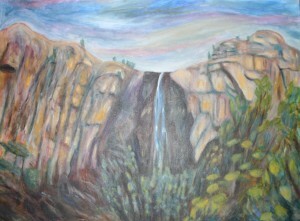 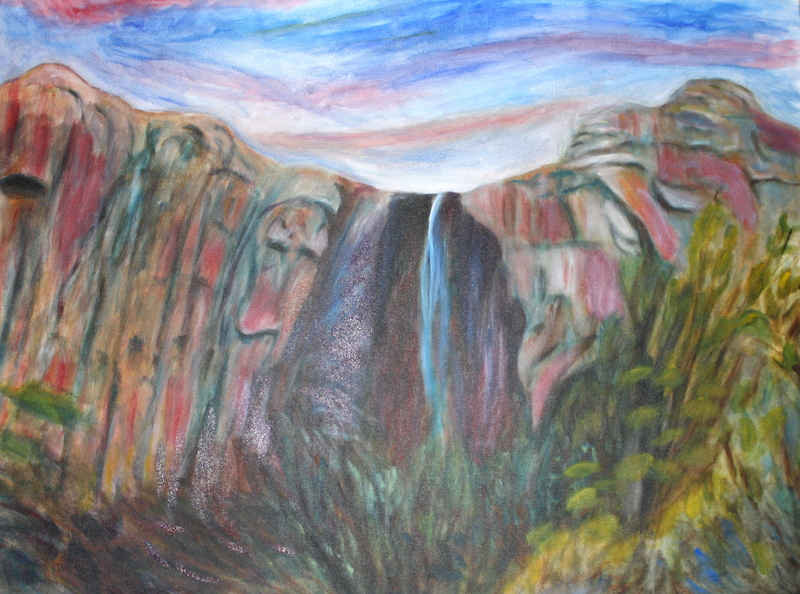 This painting is based off a photo I took of Bridal Falls in Yosemite, California. 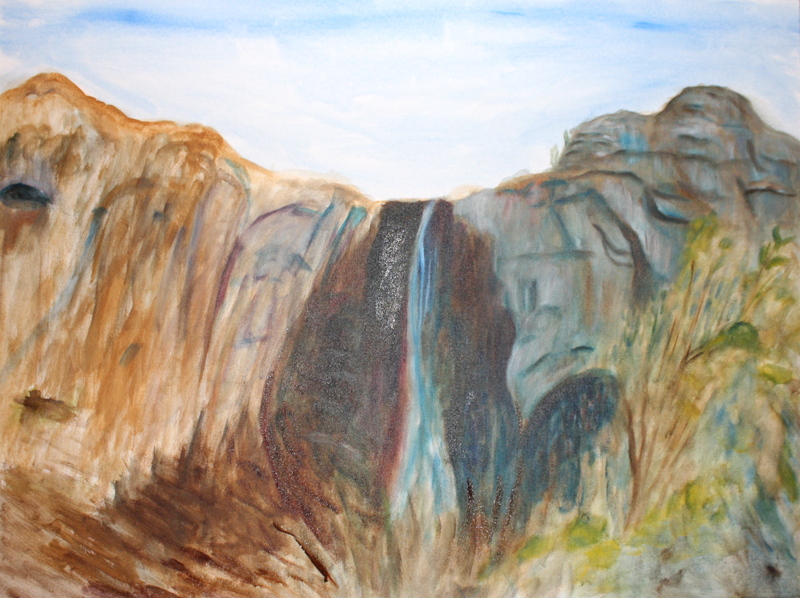 As you can see my style isn’t quite straight forward. I like to experiment with different colors and techniques.